VolunteerSpot's online coordination platform aggregates affluent, influential moms and saves them time serving in their kids' schools, sports teams, faith groups & community nonprofits. Don't let the "volunteer" in our name throw you, we're an aggressive for-profit company with revenues from premium services & high-value sponsorship sales. We're naturally viral and intensely useful, growing 120,000+ users a week & reaching more than 2M a month. As a strategic advisor, Patrick has been with VolunteerSpot since the beginning. Intimately familiar with our business, he’s eager to become CTO and take charge of architecting site enhancements and social and mobile suite, managing the development team and working with partners to execute our long-term vision. Patrick co-founded Ongo in 2010, a $12M venture-funded social news startup. He also founded Tokoni and held key roles at Waveset & Sun. Founder & CEO of VolunteerSpot, Karen had 15 years experience as a management consultant in customer centric-leadership development, marketing strategy and business process redesign. As the founder of Radiance Learning, she worked with senior leadership teams at leading high-tech, banking and hospital clients across the US. 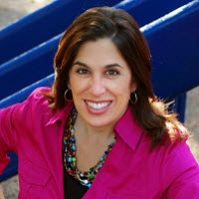 Karen is a recognized national expert in boosting parent involvement in schools and using social media for social good. 15+ yrs, as an entrepreneur and executive; successfully taken two companies from startup to acquisition. Delia works to get more groups to use our great tool through developing partnerships with national nonprofits, national and regional parenting groups, fundraising and media companies. Delia came to VolunteerSpot as a user first, then investor. Serial Entrepreneur, Founder OtherInbox (recently sold to ReturnPath), Unsubcentral and Capital Factory, Austin’s leading web incubator. Angel Investor. Partner, ffVCMy primary focus is helping early stage companies deploy lightweight disruptive business models to become the low cost player in their respective market. My past experience of reengineering businesses at Goldman, Sachs & Co. combined with my connections in Capital Markets and my accounting background well position me to evaluate and advise new businesses, which I have been doing since 1999. TIME, Inc., media veteran with key role in building In Style from inception to one of the leading brands in the industry. Deep expertise in the consumer mindset of women. Proven track record leveraging magazine brand into other platforms including successful launch of digital business. Managing Director, Wild Basin Investments. Board Member, Central Texas Angel Network. Kauffman Fellows Program 2013/2014. Successful serial entrepreneur and a former consultant and investment manager. Focus on consumer-facing web and mobile plays with especially deep expertise in family/kid targeted services, edtech, and digital memory (e.g., photos, videos) applications. Marc Seriff (founding CTO of AOL), Tytus Michalski (Fresco Capital), Nelnet, Inc.